If you are planning to buy a new home or if you have recently bought a new home, you would definitely want to ensure that your property is safe and that you provide a safe living space where your family can live happily. Security of the family members is the most important factor that every new home buyer considers before making their final decision. If you have zeroed down on the property that you want to buy, apart from checking the legal documents relating to the property you must also ensure that you conduct a home security risk assessment. Risk assessment, as the name suggests, is a process that identifies the potential areas of risk in your property/premise that are vulnerable to damage or outside invasion. The main purpose of this assessment is to ensure maximum protection to the property and your family as well as to determine the exact type of security system that would suit your needs. 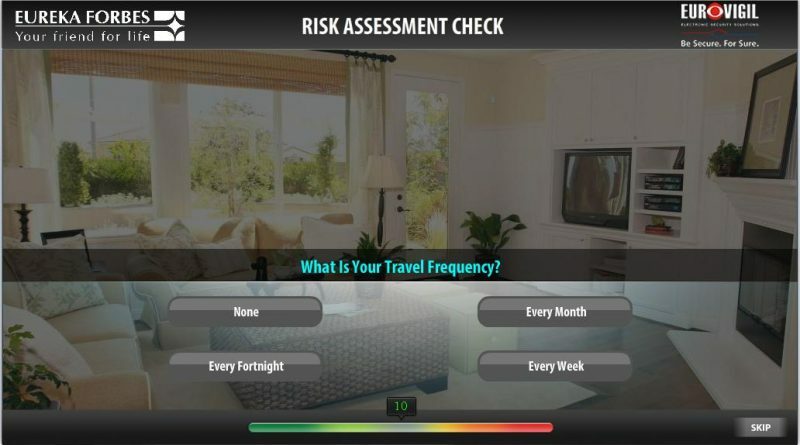 During the risk assessment process it is important that you map out your home into different zones and once you determine the zones, you must choose a security system that works perfectly with your security strategy. No matter, if you own a huge apartment or a small home, make sure that you have the right kind of lighting in your home. If your home is located in a deserted area, you can install a lighting system that operate as motion detectors on the outside so that you are quickly alerted by any unwanted or suspicious movements within the perimeter of your property. Make sure that every door in the house has a different key. The same rule applies to the windows, too. Always keep the doors and windows locked whenever you are going for a vacation or if you are going to leave home unoccupied for a few days. One of the best ways to ensure maximum protection to your family and your property is to take a closer look at your personal habits. Remember, most fraudsters and intruders keep a watch on houses before they plan their attack. So if you enter or leave the house at the same, make sure that you walk-in and walk-out at random hours to throw off the potential intruders. Before buying a new home make sure that you do a research about the crime statistics of the neighborhood. This should be a good indicator about the various security steps you need to take to guard yourself from potential threats. Familiarize yourself with the local law enforcements rules and regulations. Some of the local civic bodies require every homeowner in the vicinity to install an alarm system in the house. You may also need to register your security system with the local authority. Install an automatic alarm outside your home. Some of the high-tech alarm systems trigger off a loud noise if it senses any suspicious movements within the premises of your property. The alarms are a great way to avert any threat. Hope these tips help you to carry out your homes risk assessment.